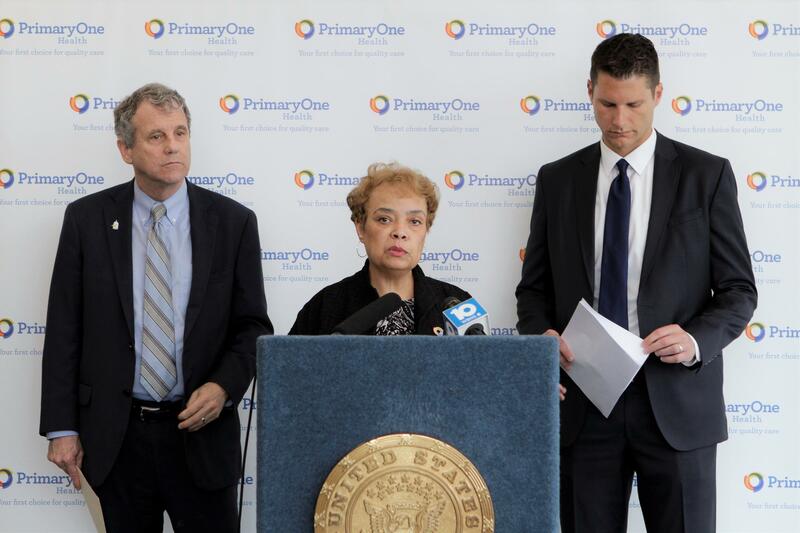 Sen. Sherrod Brown (D-Ohio), former state Sen. Charleta Tavares, and Columbus Attorney Zach Klein at a press conference about the Affordable Care Act. Sen. Sherrod Brown (D-Ohio) wants a more forceful response from Ohio Republicans regarding the Trump administration's attempts to hobble the Affordable Care Act. In a surprise move last month, the U.S. Justice Department decided to no longer defend the health care law commonly known as Obamacare. A federal judge in Texas ruled late last year that the entire Affordable Care Act should be invalidated. 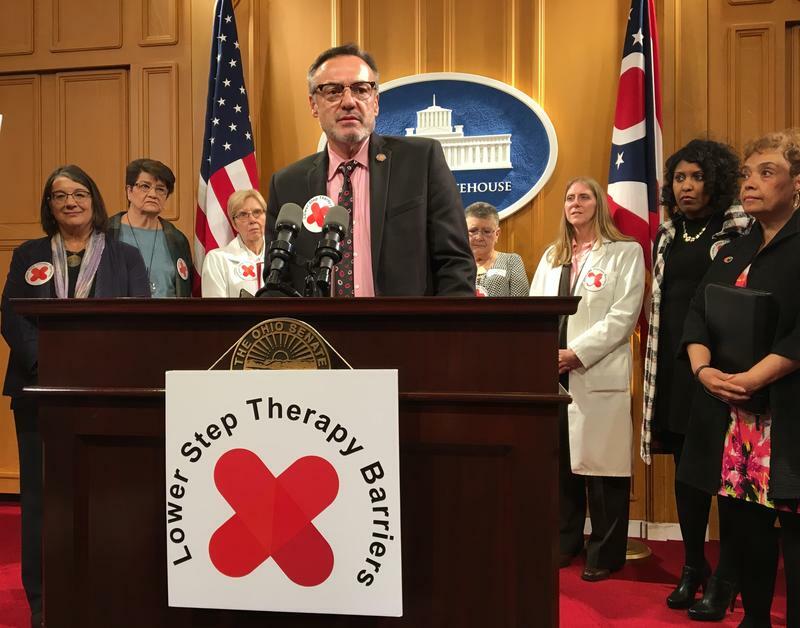 Ohio Attorney General Dave Yost, a Republican, quickly filed briefs urging the court not to throw out protections for people with pre-existing conditions. But Brown says Republican state officials need to be more outspoken. Speaking at John R. Maloney Health Center on Columbus' South Side, Brown argued the stakes of allowing the Texas judge’s ruling to stand are monumental. “Protections for more than 130 million Americans with preexisting conditions would be gone, the ability to stay on your parents insurance until you’re 26, that would be gone, Ohio’s entire Medicaid expansion, that would be gone,” Brown rattles off. Also on the chopping block, Brown says, are caps on out-of-pocket expenses and prescription drug coverage for seniors. Columbus City Attorney Zach Klein says the president’s rhetoric against the ACA is already having a detrimental effect, even if the law remains in force. Along with several other cities, Columbus filed a lawsuit against the administration last year for allegedly sabotaging the health care law. Last week, Brown filed a measure to establish a government-run healthcare option on the ACA exchanges. The Center for Closing the Health Gap will launch the Black Women's Health Initiative early next year. It will be crafted from focus group results being released Tuesday evening. A bipartisan bill dealing with how insurance companies deny certain treatments and drugs until other options are tried first is getting a final push in this lame duck session. And there’s a lawmaker who’s joining in on this effort – but as a patient. One of the earliest supporters of a possible presidential campaign by Ohio’s senior U.S. Senator says she has mixed feelings that he won’t be running for the Oval Office next year.